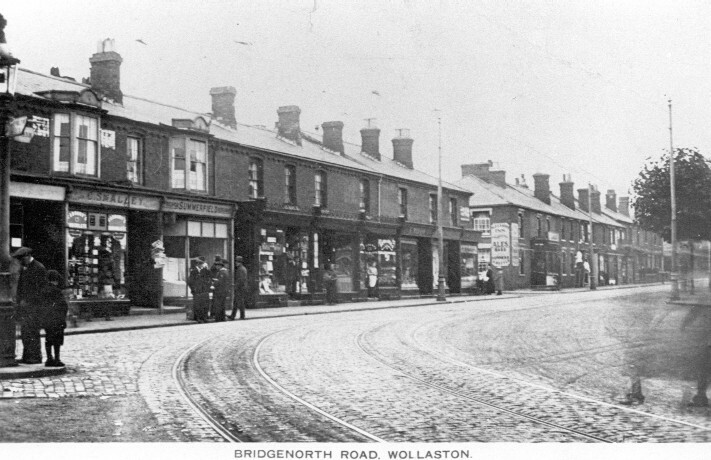 The KLR’s tracks swinging from High Street into Bridgnorth Road Wollaston. Originally the line was laid as single track but, by 1905, this had to be doubled – giving the village the wider road it enjoys today. In from the left came the tracks linking the KLR with the centre of Stourbridge along Enville Street. The large gas lamp proving so interesting to the chap at left was of the Webbs Patent Sewer Gas Burning kind – nice!